“Reliability of operation is clearly the number one target for us. With our new Nordberg® GP330™ cone crusher we have secured a trouble-free, continuous secondary crushing process that enables us to produce daily some 4,000 tons of high-quality aggregates.” This is how Production manager Kurt Schön of Basalt-Actien-Gesellschaft (BAG) Rammelsbach quarry describes the company’s new GP330 cone crusher from Metso – the first of its kind in Germany. 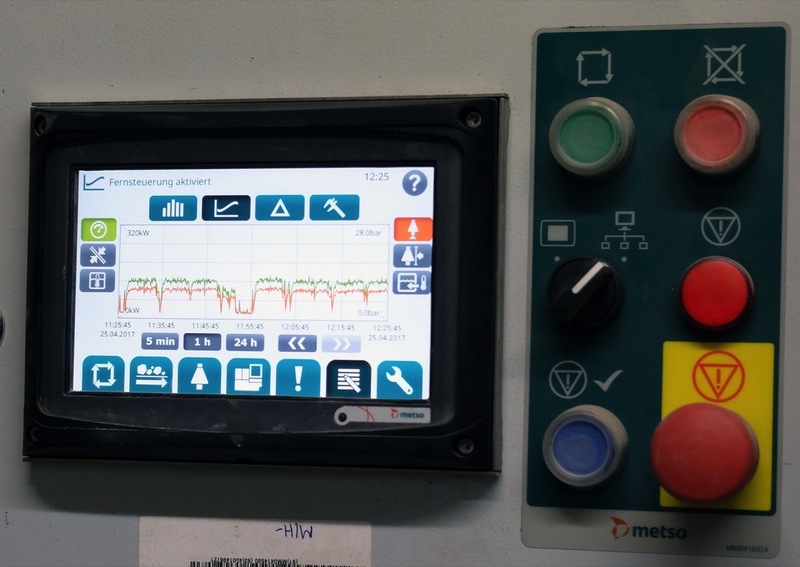 The Metso IC50 process steering with informative four colour display makes all crusher adjusting safe and easy. “To secure the non-stop operation in the future, we have signed a five-year Equipment Protection Plan with Metso. Our EPP contract includes regular inspections, main service functions and parts,” Kurt Schön adds. The history of the Rammelsbach quarry in Rheinland-Pfalz goes back to the 1860’s, when the first extractions were made. In the 1930’s, Rammelsbach scored the status of the biggest quarry in Europe. Since 2001, the quarry is owned by Basalt-Actien-Geschellshaft (BAG), one of Europe’s biggest aggregates and building materials producers. The company offers its customers everything from stone: quality chippings, railway ballast and fine aggregates for asphalt, concrete and construction. In Rammelsbach, microdiorit called “Kuselit” per the village nearby, is extracted. The rock has solid density of 2,68 that makes is very well suitable for production of high-quality railway ballast. Some 50% of the quarry production goes to DB, German railways for nationwide use. Instead of quantity, the Rammelsbach quarry is counting on constant, high quality. “Everything we do here is documented accurately. Of each 1,000-ton shipment of railway ballast, a sample is taken. Each stone we produce must follow the quality standards by both size, cubicity and purity,” Kurt Schön stresses. “In our production totally, we have six different research phases,” he adds. 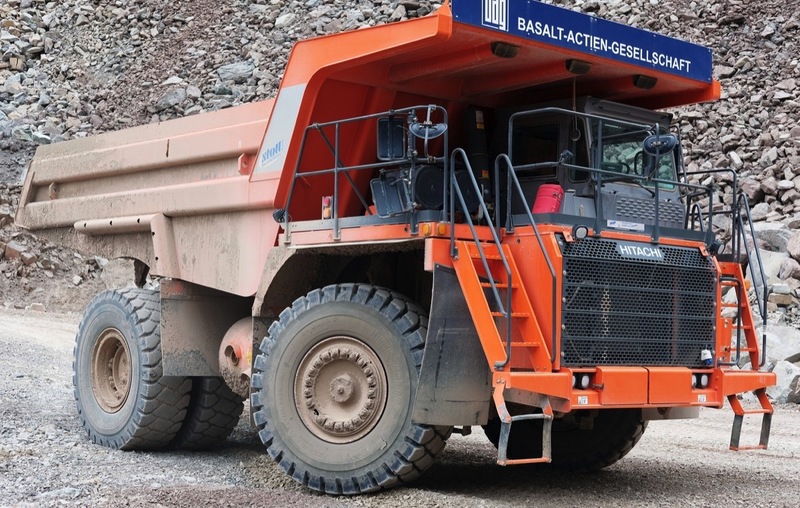 In addition to ballast, Rammelsbach produces everything that the region needs: different sized aggregates called “Edelsplitt” to produce asphalt, concrete and for general construction purposes. Within the quarry process, the microdiorite is blasted and trucked first to the primary gyratory crusher. After that, material is screened into three different sizes: 0-32 mm size is separated, and a suitable mixture of 32-70 mm and 70-240 mm is fed into the Metso GP330 cone. The “Kuselit” microdiorite is transported after blasting with big dump trucks to the primary gyratory crusher. The crusher has 34 mm closed side setting and 22 mm stroke, providing cubical, 0-80 mm sized aggregates for further processing. The constant capacity processing the hard microdiorite is around 340 metric tons per hour. The 150-year-old Rammelsbach quarry has still reserves at least for 20 years to come.